The Irish Film Board, Epic Pictures, and Tailored Films have shared the trailer for the gothic horror film The Lodgers, which will make its world premiere at the Toronto International Film Festival​. 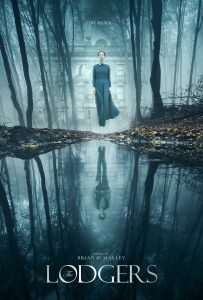 This looks like an amazing horror that harks back to recent spine-tinglers like The Others and classics like The Turn of the Screw. Check it out!